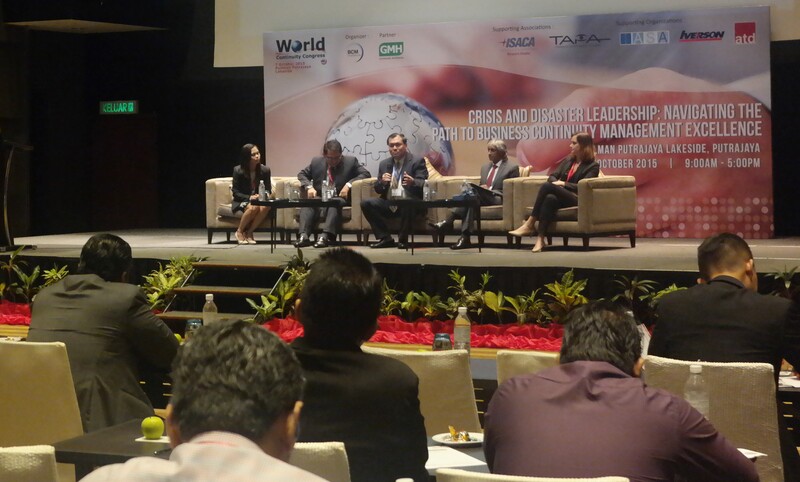 Malaysia, 7 October 2015 – BCM Institute successfully organized their annual World Continuity Congress (WCC) Malaysia 2015, themed Crisis and Disaster Leadership: Navigating the Path to BCM Excellence at Pullman Putrajaya Lakeside. 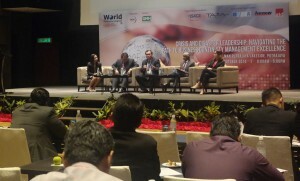 WCC Malaysia 2015 has, once again, proved itself a roaring success. With more than half a dozen of the Asia’s most experienced professionals speaking and informing about such topics as Cybersecurity, IT Disaster Recovery (DR), the latest in Business Continuity Management (BCM) trends, and the ever-relevant Haze crisis, the WCC is now more than ever the premier forum for your BC and DR needs in Asia Pacific, the Middle East and beyond. As ever, we aim to raise awareness for the absolutely important role of BCM practices in organizations, and extend the career opportunities of BCM professionals through better, more grounded BCM practices. Looking forward, we hope to retain this level of excellence for the WCC Singapore conference that will be held on 11th May 2016 at Marina Bay Sands Singapore. A one-day conference divided into a morning and afternoon session, the WCC, as always, seeks in-depth study on BCM issues. The theme for this WCC will be Best Practices: Building a resilient Future for Your Industry, and we want Expert, International, and Extraordinary speakers to participate in Asia’s foremost event for BCM and DR practitioners. The WCC gives speakers access to over 150 BC and DR professionals not only across Asia Pacific, but from the Middle East and even as far as Europe. The primary bulk of these professionals, from numerous industries across Asia, represent over 65% of the professionals in the region. You, the professional will have a chance to network with the best and brightest BCM has to offer. 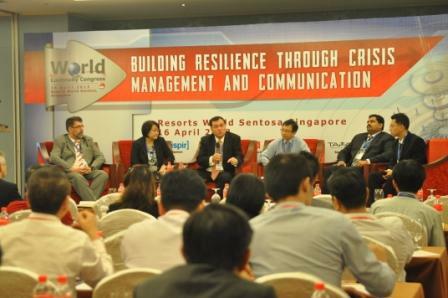 Singapore, 22nd April 2014 – BCM Institute successfully organized their annual World Continuity Congress (WCC) Singapore 2014, themed Building and Maintaining a Resilient Organization in Challenging Times at Carlton Hotel, Singapore. 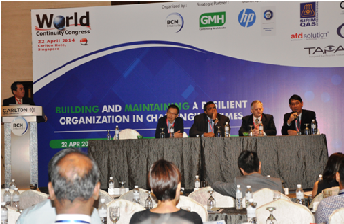 The World Continuity Congress, in its 14th edition this year in Singapore, is an annual conference organized by BCM Institute that has attracted professionals from various industries, such as Banking, manufacturing and telecommunication. This annual event establishes a platform for Business Continuity (BC) and Disaster Recovery (DR) professionals, executives and corporate leaders to engage in constructive dialogues with thought leaders from around the region. The main topic discussed during this one day conference was Resilience. Resilience is defined as the capacity to recover quickly from difficulties; toughness. From an organization’s point of view, how can a company be more resilient to withstand all kind of disruptions? How can a company be more competitive in the market while trying to recover from disruptions? These important issues were examined and discussed extensively during the conference. All in all, WCC Singapore 2014 has been a successful conference for all parties involved. Knowledge and experience has been shared throughout the day. Most importantly, it shows the delegates on the importance of BCM in today’s unpredictable environment. We would like to thank our sponsors, exhibitors and participants for the on-going support and contributions to the success of WCC SG 2014. For delegates who were unable to attend or reserve a seat, do reserve your place early for the upcoming WCC Malaysia scheduled for 9 Sep 2014 at Doubletree Hotel, Kuala Lumpur. Kuala Lumpur, Malaysia 3 July 2012 – BCM Institute drew more than 200 senior business continuity and disaster recovery professionals from all over the Asia to gather for an annual World Continuity Congress, themed “Integrating Crisis Management and Business Continuity In A Changing World” at The Ritz-Carlton, Kuala Lumpur. This year, the 12th World Continuity Congress highlighted a number of keynote speakers and fellow BCM practitioners from around the world. Coming together to discuss and share their experiences with delegates on economical and business issues in this ever changing world. 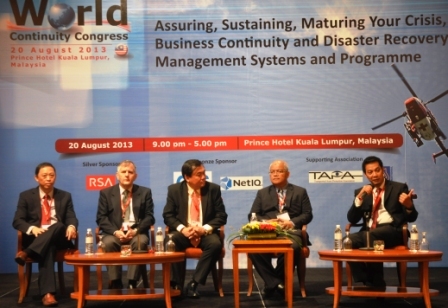 The World Continuity Congress focus on the most concerned Business Continuity and Disaster Recovery issues and the current trends in the Asia Pacific. Some of the highlights included responses by Thai businesses to the floods in Thailand, the need to take the next step forward towards ISO 22301, organizational BCM and continuous improvement strategy in the government, semiconductor manufacturing, airline and financial sectors. Technical aspects of business continuity were also discussed and they include the deployment of crisis communication technology and planning software, use of cloud technology and virtualisation to reduce RTO and RPO. In panel discussions and interactive discussions the delegates focused on the process of managing crises along the latest practices of BCM and discussed in depth on forward-thinking solutions for tail riskscommunication, reputation loss, current economic drivers affecting business continuity, and regulatory reforms of standards and legislation. About 35% of delegates are CXOs and corporate leaders from both private and public sectors. They took the opportunity to interact and discuss on BC and DR issues in an open and forthright manner. The 12th World Continuity Congress was a success, bringing more than 200 practitioners from different industries together. Most commented that the event was well planned, informative and useful. A managing director from an energy renewal company commented on BCM Institute’s media page – Facebook – that he has gain lots of practical advice from the examples given during congress. The Bangkok Bank example, in particular, helped him reflect on his company operations and vulnerability despite being just a small business. 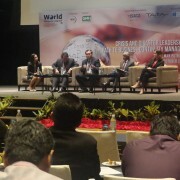 For delegates who were unable to attend or reserve a seat, do look forward to reserve your place at the upcoming WCC 2013. Stay tuned for more information.